This is the original W.W.II radio station that was mounted in American Jeeps or carried as a back-pack into battle by American GI's. 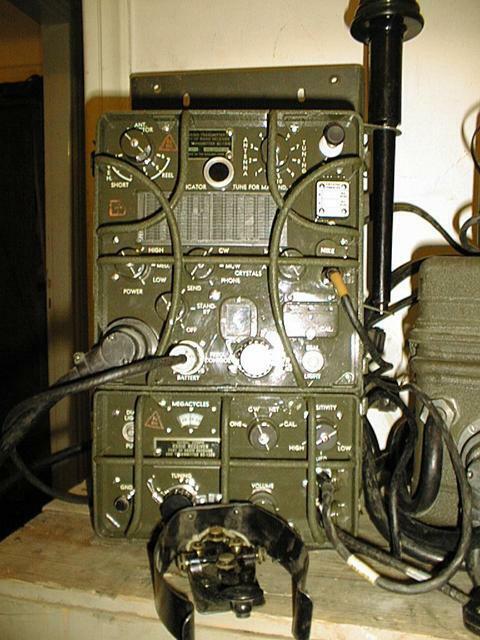 The Radio Stations are dated 1944 and use the famous BC-1306 Radio Transmitter and Receiver. We have found these very rare last remaining radio stations in the world. Stored and forgotten for over 50 years in a dark warehouse. These radios were shipped from USA as part of US Lend Lease program in the war against Nazi Germany. The SCR-694 can operate with the wartime BC-611 walkie-talkie's and the post-war GRC-9 radio sets, as well as many other HF radios.